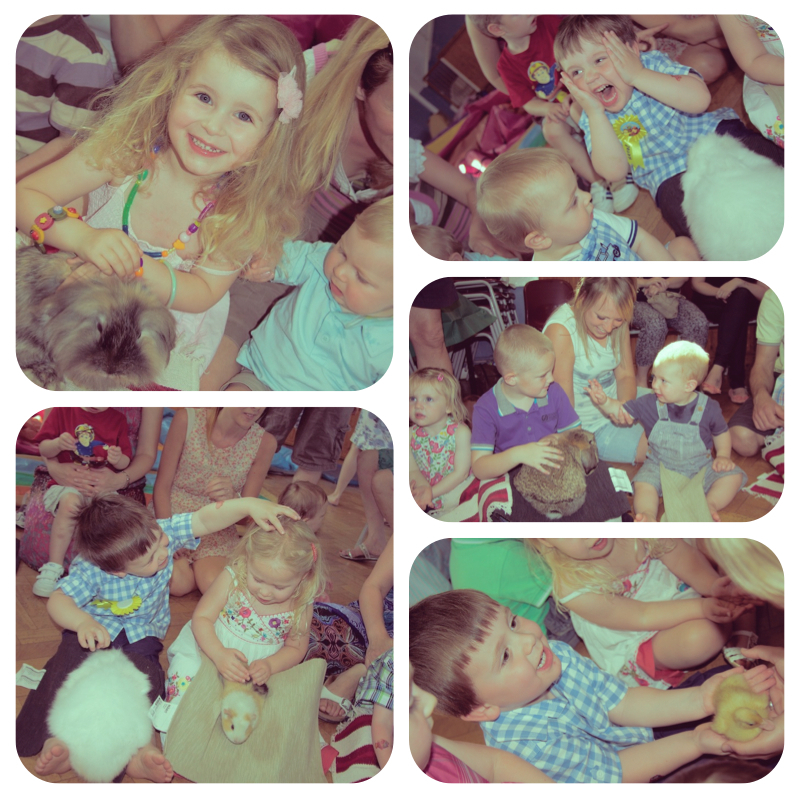 We hired the local village hall and filled it with streamers, balloons, bunting, bows and a bouncy castle! 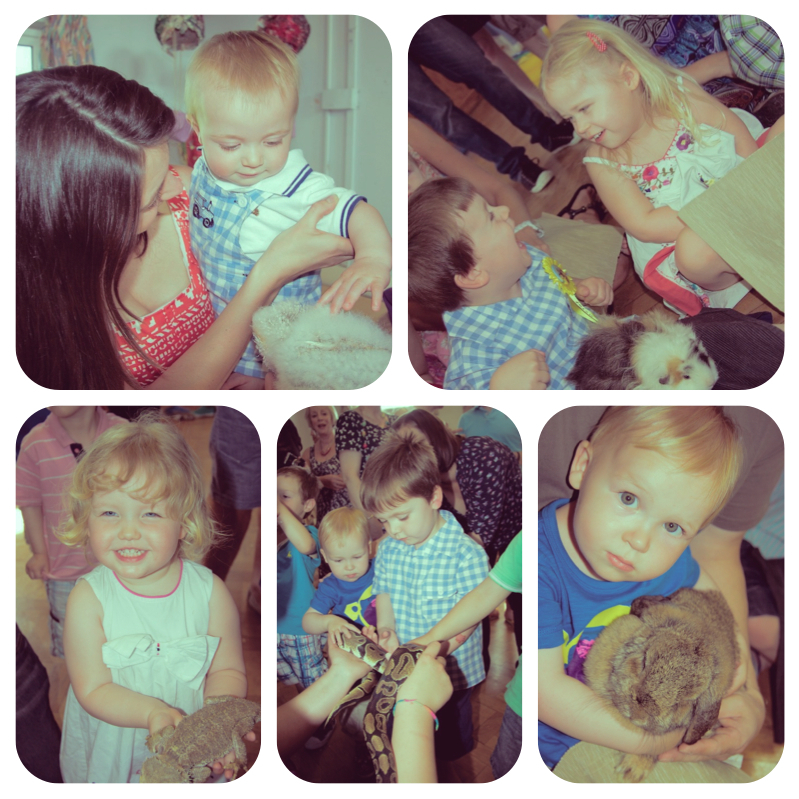 We had the magnificent edupet for an hour and a half of pure toddler bliss, holding and learning about a menagerie of animals, ranging from a 3 ft green iguana, python, baby barn owl, hedgehog, ducklings, chicken, tarantula to hamsters, a chinchilla, mice, rabbits and guinea pigs. 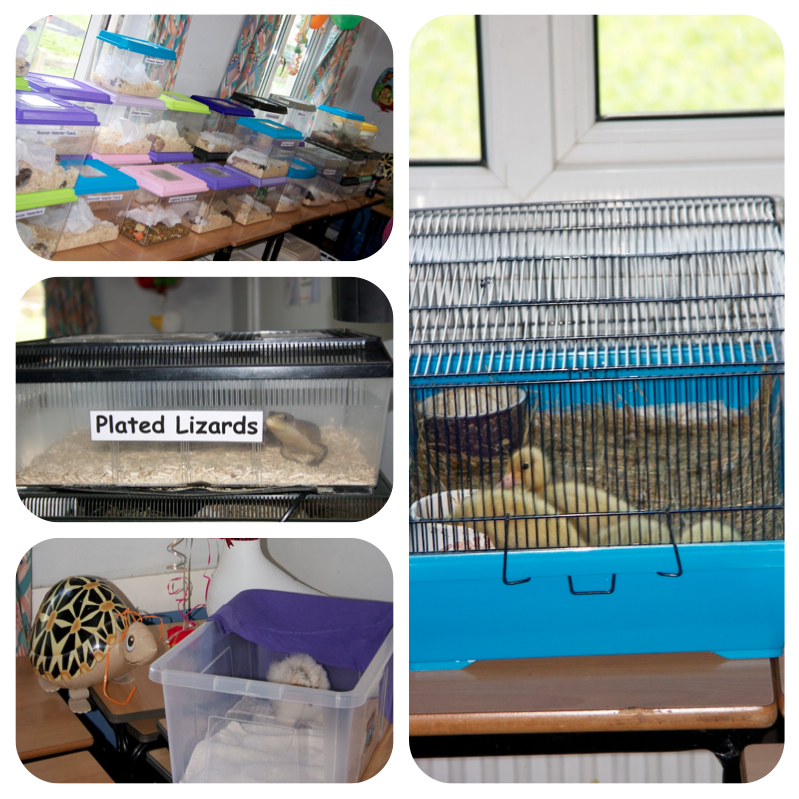 They had almost the same amount again in insects, lizards, rats and gerbils. This was only half their collection too, the rest were at home! You pay per child and it is a totally hands on experience. It certainly went with the Wonder Pets theme! My husband even conquered his life long fear and touched the snake!